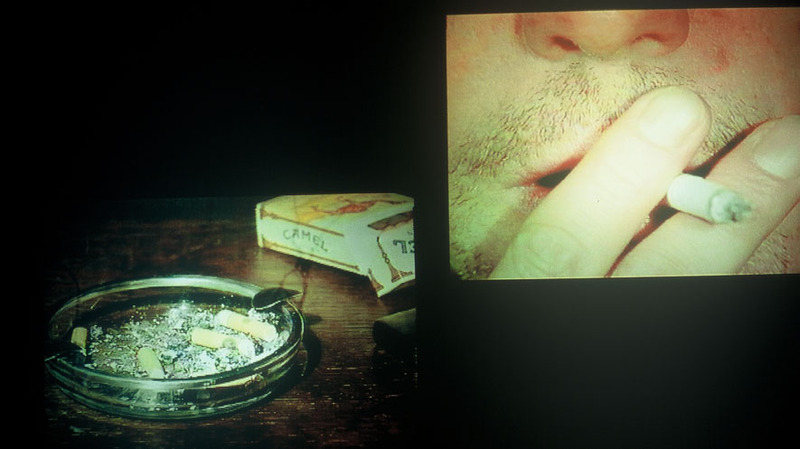 Already in the 1970ies, Marcel Odenbach treated smoking as an expression of boredom and, in that context, dealt with the issues of pure pastime and nervousness. The two opposing double projections of TABAKKOLLEGIUM refer to each other, yet remain opposed. Thus, a confrontation of two cultures is created, a contrast between establishment and underground, young and old, political and apolitical, changing generations with a different consciousness. 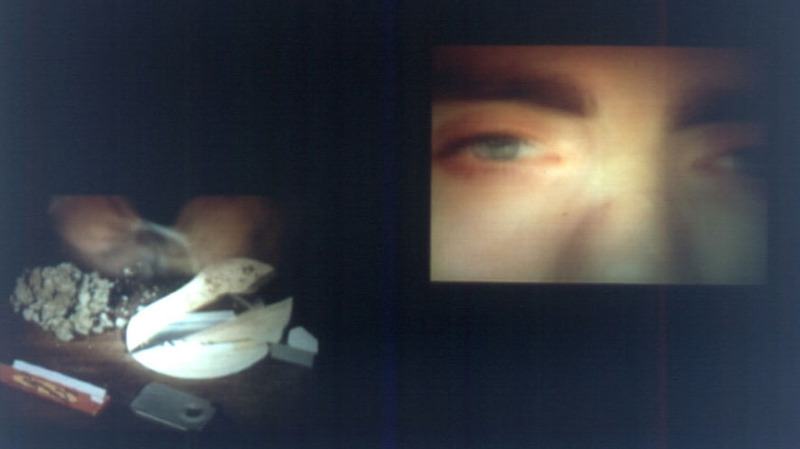 The smoking artist’s mouth and a second image of a table with smoking devices and a full ashtray projected below it form one side; oversize eyes and images taken at amusement halls in Berlin and New York the other. The contrast is continued by various fade-ins on both sides. 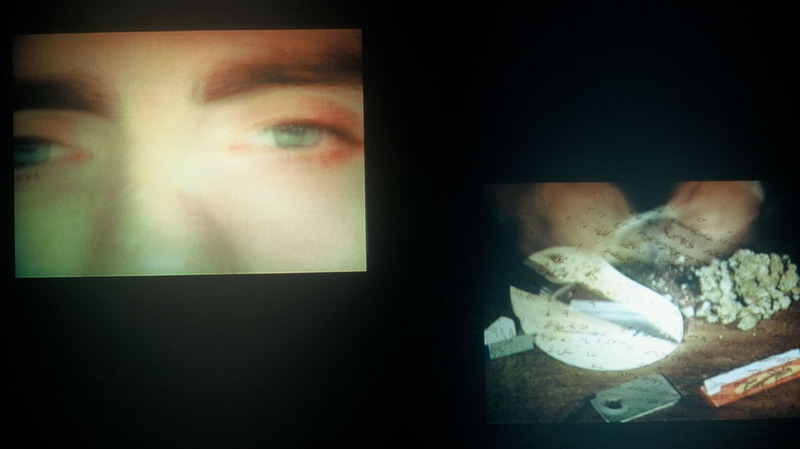 Pictures of the burning of books, violent demonstrations, racist riots or self-cremation form a macabre counterpoint to the speechlessness, boredom and belittlement in the face of these current political tendencies. Marcel Odenbach confronts today’s youth with his personal experiences and tries to find ways of communication and solidarity. Even if this communication seems to be limited to the non-verbal pleasure of smoking, it is still the common denominator against discriminating, fascist tendencies in our society.